There’s a little habit that doesn’t seem like a big deal. Many of us do it, every day in fact, and we probably don’t think twice about what we’re actually doing. It’s easy just to slip one out of our wallet or pocket or purse and enjoy it with no one noticing. What are we talking about? Chewing gum is a popular option for keeping away unpleasant breath or getting rid of a bad taste in your mouth. It’s also great for helping with dry mouth problems, nervous fidgeting, and can even help with nausea. Trying to stop smoking? There’s a gum for that too! It seems that gum can help with a multitude of problems, but it can also cause problems if you aren’t careful. We aren’t just talking physical issues either, although excessive gum chewing can lead to dental and jaw problems. We are focusing on issues at work. at your interview. NEVER go into an interview chewing gum. It will make you appear unprofessional, can inhibit your speech clarity, and could be distracting to those doing your interview. 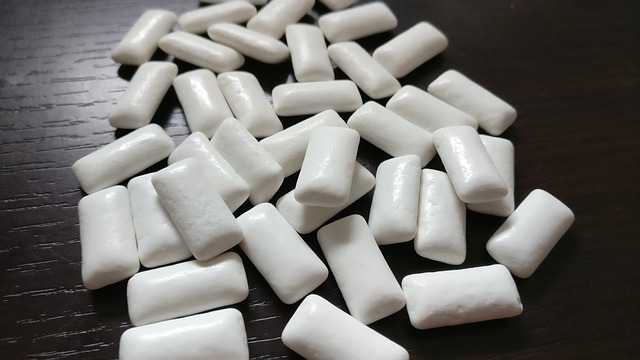 If you’re worried about bad breath during your interview, opt for a mint that can be quickly chewed and swallowed, or a dissolving breath strip. on the job. While enjoying a piece of gum while you work on typing up reports, or while you are loading boxes probably isn’t a big deal as long as you aren’t distracting others with excessive chewing or popping sounds, chewing gum while you are having phone conversations, speaking with customers or clients, or talking with your boss probably isn’t the best idea. Again, it takes away from your professional appearance, and can be annoying or distracting to others. public speaking. If you have to do any type of presentation or public speaking engagement at your job (or anywhere else really) spit out that gum before you take the mic! Gum chewing is especially annoying with amplified sound, and having anything in your mouth will also make you slur or mispronounce words, which doesn’t do much for your speech. Better to put in the gum (or mint) after you’ve said your piece. Don’t let us make you afraid to enjoy your gum! We just want to make you mindful of when and where you choose to enjoy it. Our main goal is to make YOU the best employee you can be. Still looking for the perfect job? We are always seeking qualified applicants for our openings throughout Polk County, so give us a call and bring in your resume, or apply for one of our current jobs online.